Who knew Pink could capture my essence in a single song. The Flintstones were so hipster they celebrated Christmas before Jesus was even born. However a year after this disaster I came across this article which made me feel even more disappointed about my beloved publication. Click Here in order to read the full article. I hope this doesn’t make you hate Vogue, it is still a marvelous magazine. Love him or hate him, Qaddafi had some serious style. Now I know it is not very polite to mock those who are no longer with us, but this little video is a parody of one of Moammar Qadaffi’s interviews. It was conducted by one of my favorite reporters: Christiane Amanpour and it just shows us how oblivious this gentleman was to what was happening in his country. I would like to dedicate this post to one of my favorite persons in the world: Adriana Soto or Le Bori Chef as a way to congratulate her on her entrance to Grad School at none other than Parson’s. Hopefully in a few years I will be documenting her design endeavors and many successes in my blog or whatever publication I am working in as Fashion Director. In the meantime lets just hope I can join her at Parson’s next year. By the way check her out!! Not only is she talented but beautiful as well! My love today is exclusively for her. As my insomnia and obsession with jackets continue, I dedicated most of last night to finding a new addition to my collection. It also comes in Military and in Black. Most famous writers and artists in general came up with their most brilliant works while battling severe episodes of depression. I am fortunate enough not to suffer any type of depression, yet my personal demon comes from another nature: Insomnia. No matter how far I look back my inability to sleep has always been there. Yet as the creative person that I am, my best ideas occur to me during those moments when I am struggling to sleep. However before I started writing I would utilize my late night “awakeness” to read random things and more recently, to watch random documentaries, which contributed to my well-roundness. If you ever find yourself struggling to fall asleep, here are two documentaries I highly recommend as an alternative to stalking your friends on Facebook. Bill Cuningham New York, follows the life of the man who created the concept of street style photography. 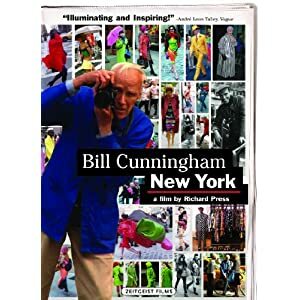 Years before anyone blogged about what people were wearing to go to certain events, Bill Cunningham was already riding his bike around Manhattan shooting still-life photographs of what people would wear in their daily life. His pictures are still published-and considered a vital part of the New York Time’s style section. This documentary is a must-see for anyone who loves fashion or New York. I do understand that not everyone breathes and dreams fashion and hardly anyone is as passionate about New York as I am. However I feel that everyone has a secret love for mafia type movies, and the documentary The Two Escobars tells a mafia story that is anything but fiction. It is based on the lives of Pablo Escobar, the world’s most powerful drug kingpin and Colombian soccer player Andres Escobar. Although they had the same last name they didn’t have any type of blood relations. Yet they shared the same tragic fate of being murdered by drug thugs. Might want to watch this documentary in order to understand the repercussions of your late night lines in your local club. Ok maybe that was drastic but both documentaries are really worth watching, and definitely more productive than online shopping, which is what I intend to do right after I finish this post. One Two, Buckle my shoe. Everyone from Isabel Marant to Balenciaga has incorporated glam sneakers into their spring/summer collections. The universally unflattering Peplum. Even its name is repulsive. Baroque style jewelry. Lots of rings, lots of bracelets, an overall hand and arm party. Leather, Leather and more Leather. Candyland. A new version of an old classic. Leather + Peplum + Neon. I am speechless about the way this outfit effortlessly combines current trends with classic sexiness. Well done. Minty Fresh + Pointed heels. Fact of life no one taught you in school. Or great bathtub, depends on what you prefer. Simple room with a statement wall poster of the love of my life: New York City. I guess instead of the poster of the city I would much rather have the real thing outside my window. 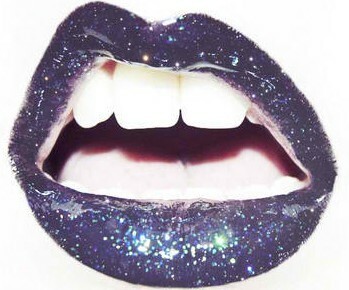 Every girl needs some space to be vain. A stylish fireplace to dwell on creative ideas. A romantic room for my former teenage self.